It is our goal at the Greater Owensboro Chamber of Commerce to provide exceptional value and service to our members. We value the investment that Chamber members make in us, and work hard to show value in everything we do. Check out all the benefits the Chamber has to offer! How do businesses stay in contact with customers and potential customers? Email marketing with Constant Contact is the answer, and Chamber members receive discounted pricing. Try a 60-day free trial here. Chamber members receive exclusive savings on all their business needs, including office essentials, cleaning & break room solutions, copy and print services, technology and furniture at Office Depot. Shop online to receive discounts or call the Chamber at 926-1860 to request your Office Depot discount card. Watch the Chamber calendar for events that bring value, save money and time to help you grow your business. We work with our volunteer committees to provide value-added educational programs such as Emerge Owensboro and more. Our events are affordable and always include a networking component. The Chamber offers an array of interactive networking opportunities and events, where leaders in business, education, government and tourism connect to keep commerce on the move in our community. 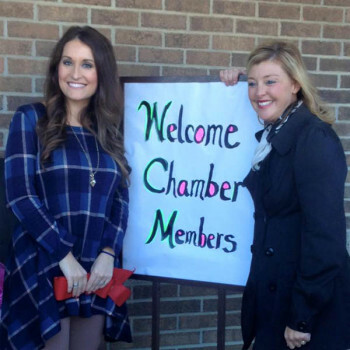 Members receive access to the Chamber’s ever-growing membership list. Just ask! In compliance with laws regulating spam and out of respect for our members, please know that we cannot provide bulk emails. All other information, however, is readily available. Use our mailing list to reach the decision-makers of your fellow Chamber members.